VMware Cloud Foundation (VCF) is VMware’s unified SDDC platform for the hybrid cloud and it’s based on VMware’s compute, storage, and network virtualization technologies to deliver a native integrated software stack that can be used on-premises for private cloud deployment or run as a service from the public cloud with consistent and simple operations. The core components of VMware Cloud Foundation are VMware vSphere (for the compute part), vSAN (for the storage part), and NSX DataCenter (in version -v or -T, for the network and security part). Aparavi has announced major enhancements to its Active Archive℠ platform, delivering improved resource management and operational efficiency, as well as enhanced insight and management of archived data. Aparavi’s Active Archive SaaS solution delivers intelligent multi-cloud data management to organizations grappling with large volumes of unstructured data. I’ve already wrote about the different reasons on Why upgrade to VMware vSphere 6.7 (or why not), but I’ve not yet provide tips and hints on how perform the upgrade process. If you are lucky enough to have a full VMware Cloud Foundation (VCF) stack, then you don’t have much problem… the VCF Lifecycle Manager that can make your life easier (see also Simplify VMware’s products update/upgrade). Otherwise you need to plan this activity carefully and perform different tasks, some manual, some automatic. VMware Horizon version 7.7 was released on December 2018, with a lot of new features, and now VMware has just released the new version of VMware Horizon: version 7.8 has several improvements as documented in the release notes. Definitely VDI is not dead, and maybe 2019 it’s not the year of VDI… just because each year is an important year for VDI and EUC. Note that not only Horizon 7 version 7.8 has been released, but also VMware Horizon Client 5.0, VMware ThinApp 5.2.5, VMware User Environment Manager 9.7.0, VMware App Volumes 2.16 and Client Agent Release Train (CART) 5.0. Those produc remain at the same previous version: VMware Mirage 5.9.1, VMware App Volumes 3.0. The last week I’ve realized a new article for the StarWind blog focused on the different types of storage controllers in VMware vSphere (see Storage Controllers in VMware vSphere). To access block-based devices (like virtual disks, CD/DVD-ROM), but also generic SCSI devices, a virtual machine uses storage controllers, which at least one is added by default when you create the virtual machine and the type of it depends by the type of guest OS that you have chosen. You can make several change changes while you are in the creation wizard. 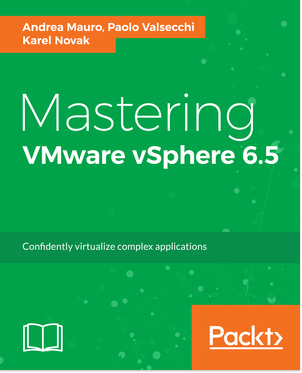 Packt has released a new book for VMware vSphere: Mastering VMware vSphere 6.7 – Second Edition written by Martin Gavanda. 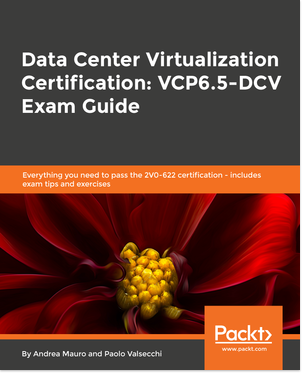 I’m in the author list, but just because some of the material of this book cames from the Mastering VMware vSphere 6.5 book. RVTools is a Windows .NET application, easy to be install which uses the VI API to collect and display informations about your vSphere virtual environments. Probably it’s one of the most used application to collect information from a vSphere environment with more than 1 million copies downloaded! RVTools supports all version of vSphere starting from version 3.5 (when still was called Virtual Infrastructure) through the latest vSphere 6.7… with or without vCenter Server! Interesting move by F5 Networks and NGINX that have announced a definitive agreement under which F5 will acquire all issued and outstanding shares of privately held NGINX for a total enterprise value of approximately $670 million. Seems strange, becase a company like F5 need a company like NGINX? This year the vExpert 2019 announce has taken much time compared with the vExpert 2018 announce, because of some changes in the votation process. But finally has arrived, with some changes from the past years (not only for the delay, but also with the list that has been reduced). And also this time I’ve been confirmed as a vExpert. 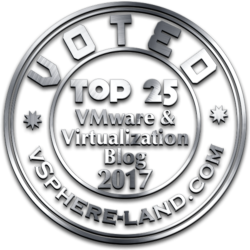 Note that “vExpert” is not a technical certification or even a general measure of VMware expertise, it’s much like an award. On Sunday 3rd March, Linus Torvalds has announced the release of Linux Kernel 5.0, a new branch of the foundation of the GNU/Linux operating system. Does this new branch mean something special, or it’s just a different way to give a name to the Linux kernel (instead of using 4.22). VMware NSX-T Data Center is the next generation product that provides a scalable network virtualization and micro-segmentation platform for multi-hypervisor environments, container deployments, and native workloads. Under this umbrella there are two main products: NSX-v and NSX-T.
Also if NSX-T has not yet become features parity with NSX-v, it’s becoming clear that, in the future, it will replace the NSX-v product and become the only NSX Data Center line.